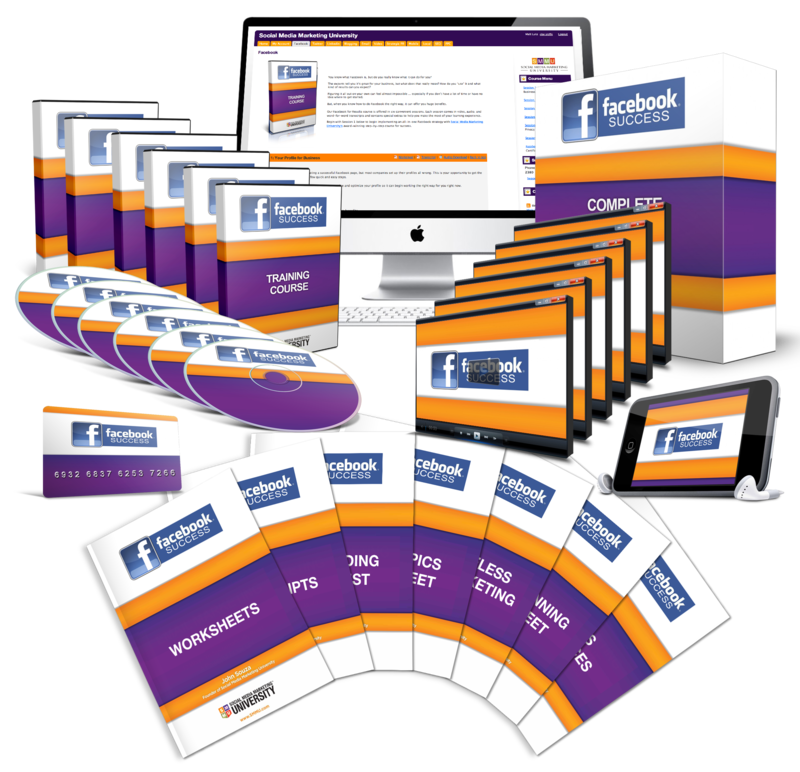 Our award-winning Facebook Certification gives you the step-by-step system you need to effectively leverage the vast reach and power of Facebook. Maximize your rewards by learning how to use ads, badges, apps, places and deals. One Step Closer Becoming a Certified Social Media Strategist®. You know what Facebook is, but do you really know what it can do for you? The experts tell you it’s great for your business, but what does that really mean? How do you “use” it and what kind of results can you expect? When you know how to do Facebook the right way, it can offer you huge benefits. More traffic. More leads. More exposure. Increased sales. Deeper customer loyalty. Market dominance. And so much more! Yes, Facebook is that important. We’ve developed a proven step-by-step certification training program that shows you exactly how to take advantage of everything Facebook offers your business. It’s an easy-to-follow blueprint for success that will help you tap into the power of Facebook’s platform and its massive user base. Contrary to popular belief, creating and implementing a comprehensive Facebook strategy does not have to be difficult. When you enroll in our award-winning course today, you’ll put yourself on the fast track to Facebook success. As of January 2014, Facebook has 1.3 billion active users, including 680 million mobile users. 325 million users are in the U.S. Nearly 50% log on every single day. Every 20 minutes, over 1 million links are shared and over 3 million emails are sent. Your customers are there. Now, it’s time for you learn how to go get them! Target your core demographic. With nearly a billion users logging on every day, Facebook gives you an unmatched opportunity to reach your demographic … when you learn how to make the most of your business pages, ads, groups and more. Dramatically drive more traffic. One of Facebook’s biggest benefits is increased traffic. A recent survey showed that most of today’s businesses report a majority of their traffic comes from Facebook. A majority said that their Facebook page actually generates more traffic than their own website. Improve your search engine optimization. When done correctly, your optimized Facebook page will boost your search engine ranking, and offer you increased linkbacks, enhanced social bookmarking, and all the benefits of SEO done right. Dramatically expand your reach as you grow your network with quality and quantity contacts, friends and Likes. Increase customer advocacy, word of mouth marketing and overall loyalty. When you learn how to use Facebook the right way, it gives you a powerful tool to create enthusiastic brand advocates who spread the word about you and your business. Conduct in-depth research on rival companies, competition or new opportunities. Attending a great social media webinar with SMMU - good stuff! #SMMU the webinar "Think Like Zuck" was extraordinary and joyful! Received my Social Media Strategist diploma this week.Ready for hire! Thank you SMMU! Great session on Facebook today from SMMU, tkanks guys! Hooray! Passed the SMMU Social Media Certification exam - now I'm a certified Social Media Marketer! Our award-winning Facebook Essentials course gives you the step-by-step system you need. Taught by today’s leading experts in social media and Facebook strategy, you’ll receive the hands-on and interactive training you need to quickly begin making this powerful social network work for you. 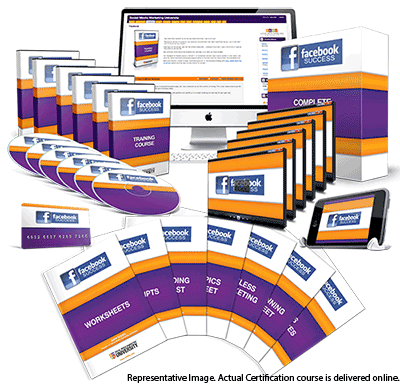 Your Facebook Essentials course is offered in 3 convenient modules covering 22 complete sessions. Each session comes in video, audio, and word-for-word transcripts and contains special extras to help you make the most of your learning experience. Your profile is the foundation for creating a successful Facebook page, but most companies set up their profiles all wrong. This is your opportunity to get the competitive advantage you need in a few quick and easy steps. In this session, you will learn exactly how to set up, organize and optimize your profile so it can begin working the right way for you right now. Your business page offers you so much more than a personal page, but very few businesses take advantage of all the extras a business page contains. In this module, you’ll be equipped with the inside information you need to create and maintain a winning business page that gets you noticed. Groups can be your key to breakout success with Facebook. They offer you an amazing chance to establish expertise, connect with consumers, generate new contacts, leads and opportunities. In this module, you’ll learn how to find and participate in strategically-beneficial groups as well as how to start your own. As you can quickly see, each session of our all-inclusive Facebook Essentials course gives you everything you need to make Facebook work overtime for you starting today. Enroll today for only $497, or take advantage of our Easy 3-Pay Plan with three payments of only $165.67 each. To make your learning experience as convenient as possible, we’ve created a comprehensive multimedia package for you. Now, with video, audio and transcripts, you have every session at your fingertips. Watch, listen or read whenever you want. Pause, rewind and review over and over again. Each sheet outlines the key lessons and critical steps you need to take to succeed with your Facebook strategy. Upon the successful completion of your Facebook Essentials course and its corresponding exam, you will be awarded a Certificate of Completion from Social Media Marketing University. When you complete six core courses and two electives in our social media and online marketing curriculum, you have the opportunity to receive our highest certification, Social Media Strategist. Completing this important course will put you on the path to final certification. At SMMU, we believe in ALL of our programs. That’s why we offer a 100% money-back guarantee for this and every one of our courses. Take action right now by clicking the button below to enroll in the Facebook Essentials course for only $797 $497, or three convenient payments of $165.67. Then, please take up to 30 days to review the entire course. If you don’t find it’s as loaded with valuable, actionable, and results-oriented information as I’ve outlined above or if you determine now is not the right time for you to begin implementing a quick and easy Facebook marketing strategy, I insist you ask for a full refund of your purchase price. No hassles. No problems. We have designed every step of this course to make sure it provides you with an easy-to-follow blueprint to success even if you have no previous experience with Facebook or social media. We’re proud to offer you this guarantee so that you can enroll with confidence today. I know that when you see everything that’s included firsthand for yourself and begin imagining what results are possible, there’ll be no turning back. You’ve seen why learning how to use Facebook the right way is so important to your overall social media strategy. You’ve learned that Social Media Marketing University offers you a quick, easy and affordable way to learn how to use Facebook to promote, advance and expand your business. And, when you discover Social Media Marketing University has been recognized as the “#1 most trusted social media firm” and was voted one of the best social media services on the web by Mashable.com, your decision to enroll should be obvious. Led by a world-class faculty that has been featured by such leading publications as Forbes, Entrepreneur Magazine, Fast Company, and the Wall Street Journal, you’re guaranteed to receive the best step-by-step training possible. Enroll now in the web’s leading Facebook Essentials course offered by the most trusted name in social media education and give yourself and your business the competitive advantage you deserve. @SMMagic Thanks #SMMU from this converted online lifelong learner! Everybody at SMMU rocks too.